The Heritage Days show is organized and run by the Sherman’s Valley Heritage Days committee, with Sherman’s Valley Heritage Days members and members of various community organizations volunteering to take part. If you would like to take part in the Sherman’s Valley Heritage Days, please contact the appropriate committee member below. Please call after 5:30PM. Anyone wishing to become a member of the Sherman’s Valley Heritage Days committee can inquire at the Heritage Days office during the show. Meetings are held once a month throughout the year, with the exception of the month of December. Disclaimer: Any copyright or "duplicate" work on this site is coincidental, all photos were approved by SVHD Board at a stated meeting and are the property of SVHD. All dates, times, names, phone numbers or locations are doubled-checked for error free verification. Please report all errors, updates or changes to the president of SVHD as soon as possible. This is a non-profit organization and this site is prepared free of charge. All questions should be directed towards the President of SVHD located on this site. 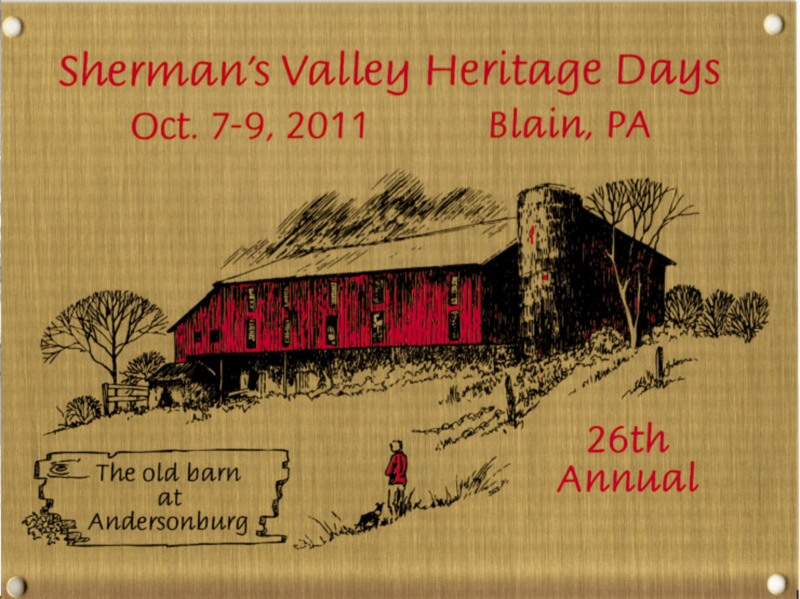 Ladies Auxiliary of the Blain Fire Co.
Shermans Valley Heritage Days, Inc.